Who, When, Where will futsal games be played? 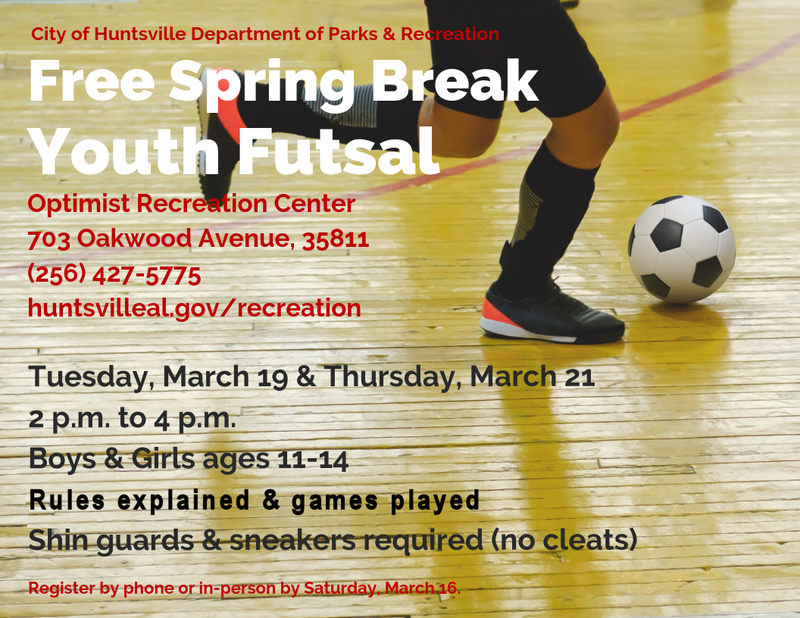 First, there will be a Spring Break Futsal Camp for youth 11-14 years old. Next, there will be a registration period for this summer’s activities. Plans are being made for a pre-season tournament on Memorial Day Weekend. Initial details are on the Tournaments page. This summer there will be adult division league games on Wednesdays with teams vying for division champ and there will be youth academies on Thursdays with youth learning / playing futsal and having great fun. View promotional flyer here. Watch the Calendar page on this website along with facebook.com/nafutsal and other social media (see Contact Us page) for the most complete details and latest news. The latest newsletter is here. Subscribe to the North Alabama FUTSAL Mailing List to receive announcements in your inbox. Put futsal in your summer plans and be part of a fast growing sport in popularity in the US, not to mention the benefits you gain from playing futsal! 5/29/2019 – Adult Divisions Futsal Games Begin! 6/6/2019 – Youth Divisions Futsal Games Begin!